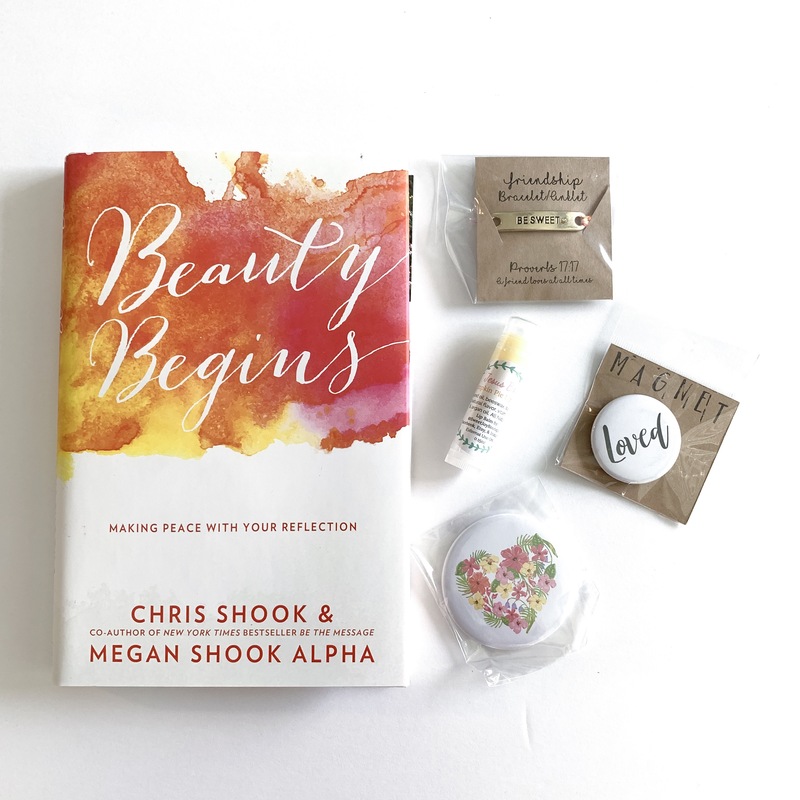 This exclusive Beauty box is perfect for woman struggling with what they see in the mirror. We all have been made beautiful in God's eyes. Learn this truth with the book, Beauty Begins. The accessories include: Be Sweet friendship bracelet, Pumpkin Pie chapstick, Loved magnet, and pocket mirror. Mirror designs will vary.